Victor Santos (1934 – 2003) was born in Philippines and was educated at St. Michael’s College where he was awarded an art scholarship. He then proceeded to the University of the Philippines from where he earned a degree in fine arts. After graduation, Santos moved to San Francisco where he began a career as a commercial artist in the advertizing industry. This is where he first gained recognition for his work and won many awards. 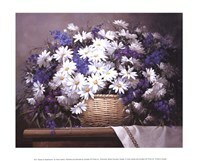 He moved to Vancouver in 1971, and began to paint as a full-time artist. Santos is content to let his work speak for itself and is not one to take forceful positions on his work or other art related topics. From as far back as he can remember he has been fascinated by art, continually drawing similar objects at home. 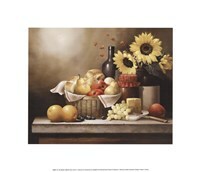 This probable influenced his choice of the still-life as his field of work. His position as a commercial artist in Manila helped him achieve a lot of success. 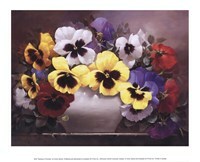 This is because a commercial artist must have an excellent understanding of layout, lighting and color selection to be successful and these are some of the qualities that are so important to the still life painter. Santos’ work, arguably, set a benchmark for aspiring still-life painters and provided the collectors with what some critics feel are among the best still-life paintings in the world. 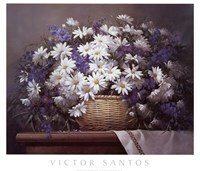 As time went by, Santos left a successful career as a commercial artist and turned his talents to the painting of florals and still-lifes in acrylic and oil. 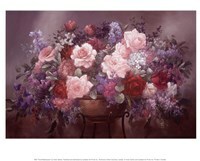 His style of realism displays a meticulous attention to detail.